The first dance is always so fun to capture during the reception. It's usually the first thing that happens right after the speeches are done and basically starts off the dance party for the rest of the night. Durning this dance it started off slow and then the bride and groom speed things up and started to have some fun. As you can see in this pic they started to swing themselves around. The Forest House Lodge is located up in the Sierra foothills of Northern California in the small quaint town of Forsethill. The lodge is located right off of the main street and is a quick drive up the hill from Sacramento and the surround foothill communities. The lodge is an all inclusive venue, which means that you’ll be the only one getting married their that day.This insures that your guests and you will receive the full attention of the staff and that your wedding day will be a dream. The lodge has 27 hotel rooms and can sleep up to 70 guest in those rooms. The lodge is where your getting ready and other events will take place. Down stairs is the huge bridal room and salon for the girls to get ready in. Just across the way is the man cave and game room where the groom and his guys can have fun playing around while getting ready. 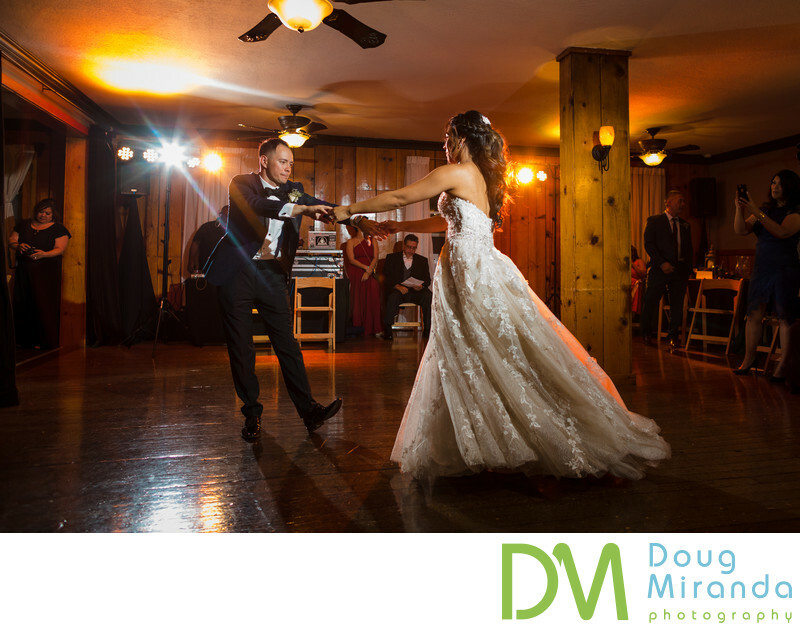 Your reception will also take place at the lodge on the main floor where the dinning room is located along with the dance floor and a full bar room. Small ceremonies can take place in the back court yard, but most all ceremonies take place up the road. Located about a mile up the road is the ceremony site at Grand Sierra Point. The ceremony site is located just at the edge of a clearing in the forest with stunning views of the foothills, canyons and the greater Sacramento area. Just the ceremony site alone will have you wanting to book your wedding their immediately. The Forest House Lodge is one of the premier wedding venues in the foothills and Sacramento area.